Gettin’ press! 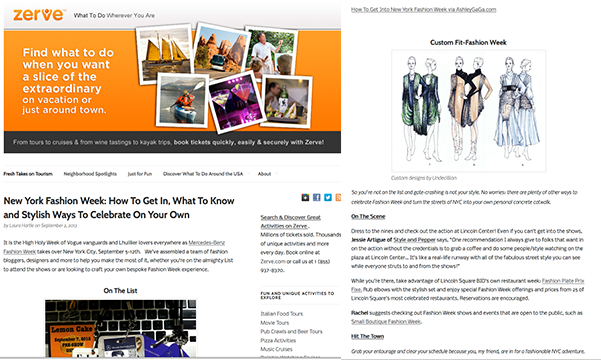 Undecillion is stoked about fashion week, and thanks to Laura Hartle from Zerve, a fab travel resource and blog, I got to give tips on surviving fashion week! You’re welcome! Thanks for commenting on mine! Congrats and thanks for liking http://gammagamification.wordpress.com/2013/09/18/happy-birthday/ 🙂 will check out the article now!